The Social Solidarity Economy is an alternative to capitalism and other authoritarian, state-dominated economic systems. In SSE, ordinary people play an active role in shaping all of the dimensions of human life: economic, social, cultural, political, and environmental. SSE exists in all sectors of the economy—production, finance, distribution, exchange, consumption and governance. SSE has the ability to take the best practices that exist in our present system (such as efficiency, use of technology and knowledge) and transform them to serve the welfare of the community based on different values and goals. Jaques Kaswan (June 14, 1924 - January 28, 2015) studied cooperatives for 50 years and was a developer of systems to support the formation of worker coops and housing coops for over 35 years. He was a co-founder of the Arizmendi Assn, as well as Walnut Street Cooperative. Read more about Occupy, Resist, Produce! 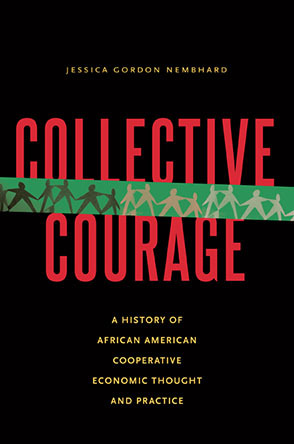 Here at GEO, our Scaling Up the Cooperative Movement ebook has been flying off the e-shelves. It would appear that a lot of people are interested in what it's going to take to create a cooperative economy that can provide an alternative to our traditional ways of doing business. Read more about Calling All Worker-Owners! Additional resources for worker co-operators are available from TESA through their website. [Editor's note: J Rainsnow is a novelist. His unusual review of Bulding Co-operative Power: Stories and Strategies from Worker Co-Operatives in the Connecticut River Valley comes from an artist’s perspective, outside of that of most co-operators, organizers, and activists. His view is large and his grasp of details surprisingly rich.